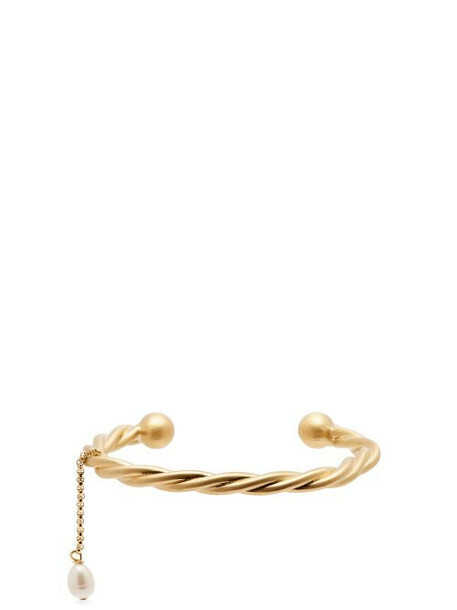 JW Anderson - JW Anderson's longstanding fascination with the sea is reflected by the shiny pearl suspended from this gold-tone metal bracelet. It's twisted for a tactile impression and finished with balls on each end. Wear it alongside a white shirt and khaki-green trousers for a subtle feminine inflection.